Why Switch and why Nevada? Any new gear you colocate in Nevada is eligible for tax abatements, and with Switch’s Citadel Campus location within a “Qualified Opportunity Zone” there are even more tax benefits to consider. When comparing Nevada and the Bay Area on a deployment of $100 million of gear, it will cost you up to $10 million more in taxes every tech refresh cycle if you deploy in California. With Switch, you can save between 35-60% on your connectivity costs. The Switch CONNECT telecom auditing cooperative can generate savings on all of your North American telecom bills, including circuits not associated with any of the Switch data centers, guaranteed. 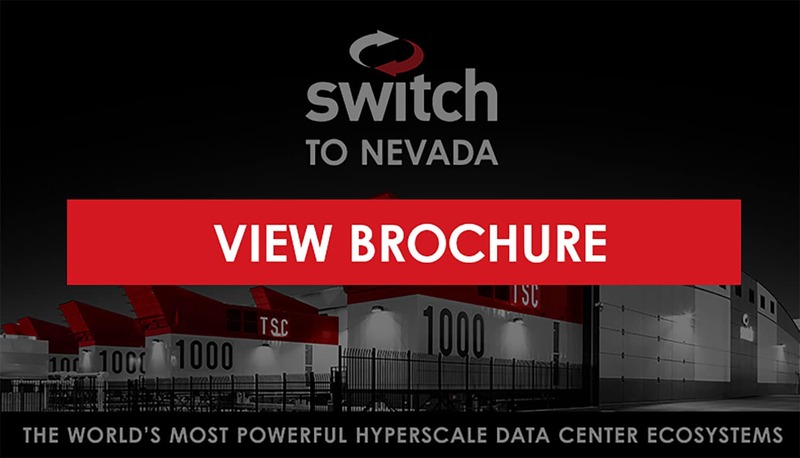 Hyperscale purchasing power is achieved by the combined telecom orders of hundreds of Switch clients and thousands of circuits. While we at Switch believe there will always be a need for some edge gear located within the cities of California, enterprise corporations no longer have to endure the high cost of taxes and power for their medium and high-density primary deployments. Over the last 15 years, a much better colocation option has been created just over the state line in Nevada. The Las Vegas data center market has continued to quickly grow in popularity. Las Vegas is located in close proximity to other primary West Coast markets, like Silicon Valley, but offers lower power costs, more available land, and fewer natural disaster risks (lowest natural disaster rating in the western United States). This makes Las Vegas attractive as a disaster recovery location for users with existing West Coast data centers, or for users wanting to establish a western presence, but don’t want to locate in Silicon Valley. At Switch, we believe that the future progress of humanity depends on the sustainable growth of the Internet. As more people, businesses, governments and devices come online, the need for data centers increases, as does the growing need to power those data centers with renewable energy. We strive to design leading data center and digital hub architectures that not only help our environment, but also vastly improve the experience of our clients.